They don’t call it the Irish Riviera for nothing. But what, or where, it is is open to debate. Some say it’s the town of Scituate. Others say it encompasses a larger part of the South Shore. A few say it extends down the entire Route 3 corridor. It all depends on whom you ask. At the Tinker’s Son on Route 123 in Norwell, Sean Gilmartin says he hears the term “Irish Riviera’’ every day in conversations while he works behind the bar slinging drinks, drawing pints of Guinness, and serving up shepherd’s pie and bangers and mash. The Tinker’s Son is a traditional Irish pub that offers live music — fiddle, tin whistle, banjo, and the like — most nights of the week. Massachusetts isn’t the only state with an Irish Riviera. The name has also been used for Irish enclaves on the New Jersey shore and for Rockaway in Queens, New York. As might be expected, these places are near water. Scituate has been called the Irish Riviera since at least the 1930s. 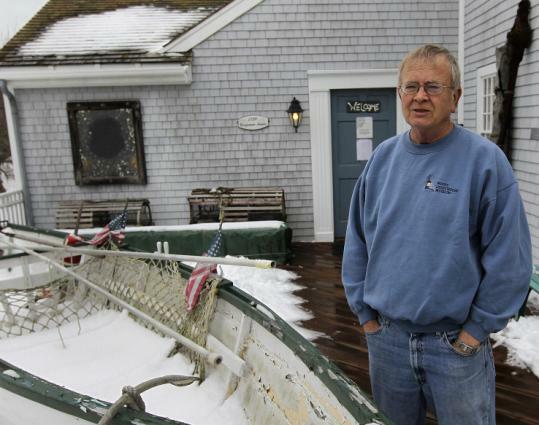 Dave Ball, president of the Scituate Historical Society, says he doesn’t hear the term used as much as before. “Twenty years ago, you certainly did. I don’t know why that is — I don’t think anything changed dramatically,’’ he said. Ball taught sixth grade in Scituate for many years, and he says that whenever he asked how many of his students were of Irish descent, “90 percent put their hands up.’’ Open a phonebook in the town, he said, and you’ll find Irish surnames like Sweeney, O’Neil, Curran. For generations many Irish families came to the town for its thriving Irish mossing industry, which was started in the mid-1800s by an Irish immigrant, Daniel Ward. By the 1920s, prominent Irish Bostonians like James Michael Curley were buying summer homes along the coast of North Scituate. Boston fire lieutenants, police captains, and other city workers soon followed, renting and buying small cottages along the shore from Egypt Beach to Cedar Point. The southward migration of Irish continued after World War II, according to O’Connor. Veterans were coming home from the war, getting married, starting to raise families, and didn’t want to live in their old neighborhoods anymore. They wanted green grass, bigger houses, and better schools. So most followed the natural migration pattern and moved southward — to the Irish Riviera. “If you were deciding to move, banks wouldn’t give them mortgages to live in the city anymore,’’ said O’Connor. It was a sign that they had “made it,’’ said O’Connor, who noted, with a chuckle, that he also moved from Southie — to a condo in Milton. Starting today, winter hours are Sundays, 1 to 4 p.m.
Summer hours: Saturdays and Sundays, 1 to 4 p.m.
Research family roots and heritage at the center’s library. Genealogy advice is available on Fridays, 7 to 9 p.m. To schedule an appointment, e-mail roots@irishculture.org.